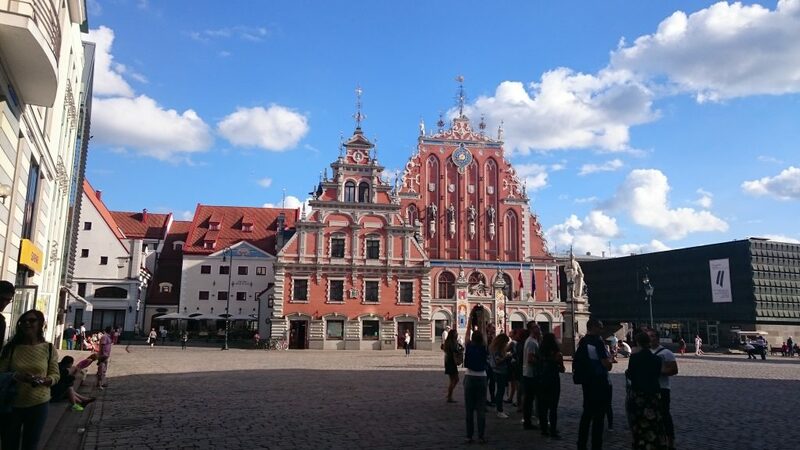 I spent this summer in Riga – the capital city of Latvia. It is very beautiful city with many historic buildings and interesting sight-seeings. I must be honest, this city reminds me of Bratislava. In Riga there is also a river (Daugava) flowing through the city as Dunaj in Bratislava. I have almost the same felling there when I was walking down the promenade. However I cant say excact same thing about weather that I was experiencing there. I was there whole August and it was mostly pretty rainy, with mild temperatures about 15-20 degrees. The local people (especially the older ones) were not smiling at all and appeared to be in a bad mood. My contact person told me, that it is completely normal in Latvia. But I cant say a bad word about young latvian people! All of them were very nice, friendly and helpful. For my department, I have chosen plastic surgery. I attended the Riga East Clinical University Hospital every morning. I had to travel approximately 35 minutes with public transport to get there from the dorm. I really appreciate the tip from hosting committee to buy a monthly ticket for 50 euros which really paid of cause one ride ticket cost more than 1 euro. The hospital was alike hospitals in Bratislava, you could definitely tell that there was communism in the past. Hovewer, I was really lucky cause the operating tract was whole new and well equipped! Doctors were really friendly and were smilling too. Their english was good and they always tried to answer my every single question. 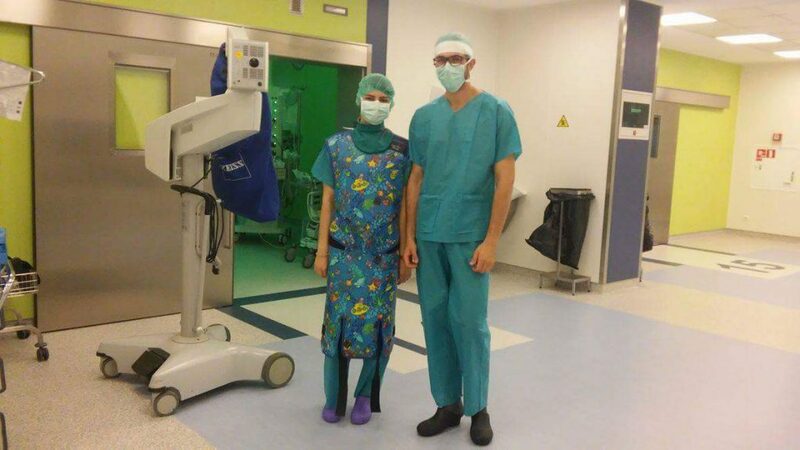 I learned a lot new things in surgical field and had also a possibility to assist during the operation. There were more than 20 medical students from all around the world. We lived together in the dorms, situated 10 minutes by bus from city center with bus stop almost under our windows. We stayed in the same floor in rooms for 2-3 people with shared bathrooms and toilets. There was also a well equipped kitchen for all of us to cook and spend some time together, You could use a canteen in the dormitory on the first floor (for some reason there is no 0. floor in Latvia) which I higly recommend. Canteen offered plenty types of delicious food for student prices and I ate there every single day except weekends when it was closed. From our hosting committee we got 60 euros gift card to be spent in local supermarket Rimi situated 50 metres far from our dorm. There were lots of restaurants in the city, huge markets with fresh fruit, vegetables and fishes, cute little caffeterias…everyone would choose its favourite one. I suggest all future incomming students to try latvian traditional beetroot could soup, I loved it. Their national alcoholic drink is Latvian Balsam made out of herbs (similar to our Tatranský čaj). It was told me that it is a natural remedy for many disease and it strenghtens your health as well. Our contact persons were amazing and prepared for us awesome social program. 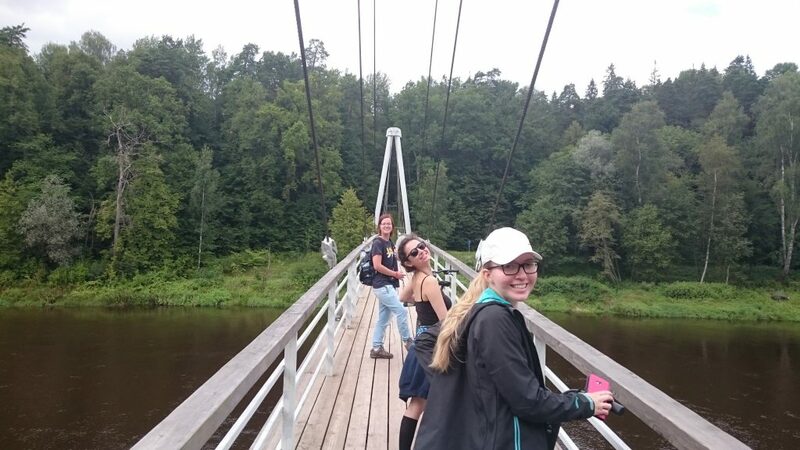 Thanks to them we saw not only beautiful cities, historical buildings, castles and interesting exhibitions but they took us also to the nature, which was lovely. We spent whole day cycling in the national park with beautiful landscape and caves. We had also the last weekend free to make our own program. 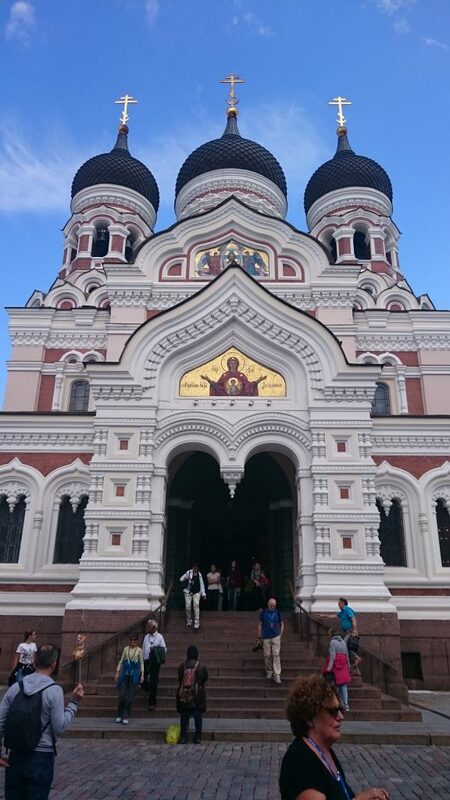 We decided to visit capitals of Lithuania, Estonia and Finland. Each of the cities had its own beauty and I am very glad that I could visit them all. This clinical exchange in Riga gave me many amazing memories, I experienced the country and its culture, learned new things, met new nice people. I would definitely recommend this exchange.